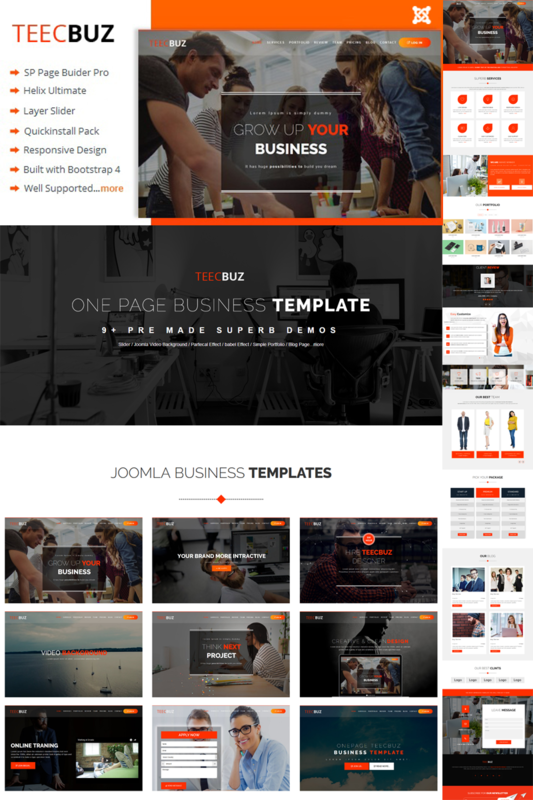 Teecbuz Business Corporate Joomla Template is a fully responsive built using the latest bootstrap 4 and Helix Ultimate Framework. Itâ€™s designed for describing your app, agency or business. The number one drag and drop Sp Page Builder Pro allows you to easily customizing it. This theme comes with necessary features for your online presence and has 9 one page demos available. Teecbuz can be a great choice for your online presence. Build your company website easily with the Drag and Drop Sp Page Builder Pro.